Abstract. Responsive load control offers a particularly effective approach to compensating for the variability inherent in large-scale renewable generation, and mitigating the effects of generation and transmission outages. Furthermore, as plug-in electric vehicles grow in popularity, scheduling their charging load will become vitally important to prevent local overloads, and to ensure optimal use of generation resources. Fortunately expansive communications networks and advances in distributed control algorithms facilitate precise, non-disruptive forms of load control. The presentation will discuss a range of control strategies, from distribution-level controls that prevent localized overloads to games that arise in coordinating the charging of large numbers of electric vehicles. Biography. Prof. Ian Hiskens is the Vennema Professor of Engineering in the Department of Electrical Engineering and Computer Science at the University of Michigan, Ann Arbor. He has held prior appointments in the Queensland electricity supply industry, and at various universities in Australia and the United States. His research interests lie at the intersection of power system analysis and systems theory, with recent activity focused largely on integration of renewable generation and controllable load. 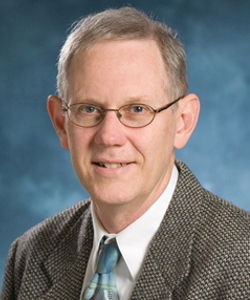 Dr. Hiskens is actively involved in various IEEE societies, and is VP-Finance of the IEEE Systems Council. He is a Fellow of the IEEE, a Fellow of Engineers Australia and a Chartered Professional Engineer in Australia. Abstract. In this talk we briefly summarize the use of sensors, estimation and communications in today's industry. We then describe, to the best of our understanding, lessons learned from recent R&D regarding types of technologies considered and industry pilot experiments on the way. We then introduce possible paradigms of operating the emerging power grids in the developed and developing countries in terms of performance objectives, and underlying business models in support of deploying innovative technologies at value. We conclude that, by-and-large, it is very difficult to fit into today's industry business models technology deployment at scale. To overcome this roadblock, we propose a general method for valuing flexibility in a primarily capacity-oriented industry. Examples are given of several low-hanging sensing, estimation and communication opportunities, as well as of the multi-scope values they could play in the changing industry and bring value much beyond their cost. We close by recommending that in order to define the highest value of these technologies within a very complex network system, whose complexities range across spatial, temporal and contextual, it is essential for the research and education community to bridge physics-based modeling and automation design to the architecture design of communication networks. If this is not done, major tradeoffs between the complexity and value added by any technology which brings value primarily by enabling flexibility will not be understood well. Therefore, one may over-invest or under-invest into these technologies much the same way as this has been done in the past when investing in new generation and T&D physical capacity. Making the case for value brought about by flexible technologies requires rethinking uncertainties and their management by many industry participants. Biography. Prof. Marija Ilić received her Doctor of Science Degree in Systems Science and Mathematics at Washington University in St. Louis, MO in 1980, and all other degrees in Electrical Engineering at the University of Belgrade, Serbia. She is currently a Professor at Carnegie Mellon University, Pittsburgh, PA, with a joint appointment in the Electrical and Computer Engineering and Engineering and Public Policy Departments. She is the Director of the Electric Energy Systems Group (EESG), http://www.eesg.ece.cmu.edu/. She has coauthored several books in her field of interest. Most recently, she has co-edited the book entitled "Engineering IT-Enabled Sustainable Electricity Service: The Tale of Two Low-Cost Green Azores Islands". The book is the first real power system repository of smart grid data and data is publicly available. 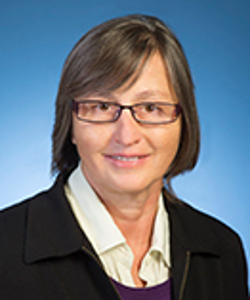 Prof. Ilić is an IEEE Fellow. Abstract. Europe is aiming to develop a resilient Energy Union with diversified energy sources and a world-leading position in renewable energies. EU policy makers are gathering their efforts for ensuring that the deployment of a smart and intelligent energy system will happen. In this process, particular attention is to be given to integrated solutions based on existing ICT technologies, cyber security and strategic data analytics making use of shared ICT infrastructures and analytics capabilities for multiple use cases with the final aim to moving to real-time energy system awareness. Biography. Dr. Patricia Arsene is a European Commission official working in the Information and Communication Technologies Programme. She is contributing to policy development in the area of smart grids and smart cities in parallel with monitoring research projects in the area of smart grids, energy efficiency and energy efficient buildings. She is also member of the Reference Group of the EC Smart Grids Task Force working on the smart grids standardisation under Mandate 490. 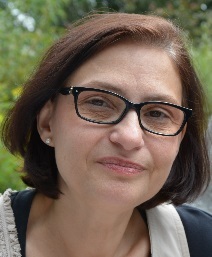 Prior to working in the European Commission, Patricia was associate professor and researcher in the Faculty of Control and Computers, Technical University of Bucharest, Romania and head of the Science Policy Department at the Romanian National Research Council. In-between, she held a project officer position in the European Science Foundation, Strasbourg, France. She holds an MSc in Power Engineering and a PhD in Automated Systems.